Shoppers who visit us at JL Freed Honda in search of a fuel-efficient vehicle often decide on the Honda Accord Hybrid. It’s a sedan which offers not only excellent fuel economy, but also has great styling and all the features you want in a hybrid. 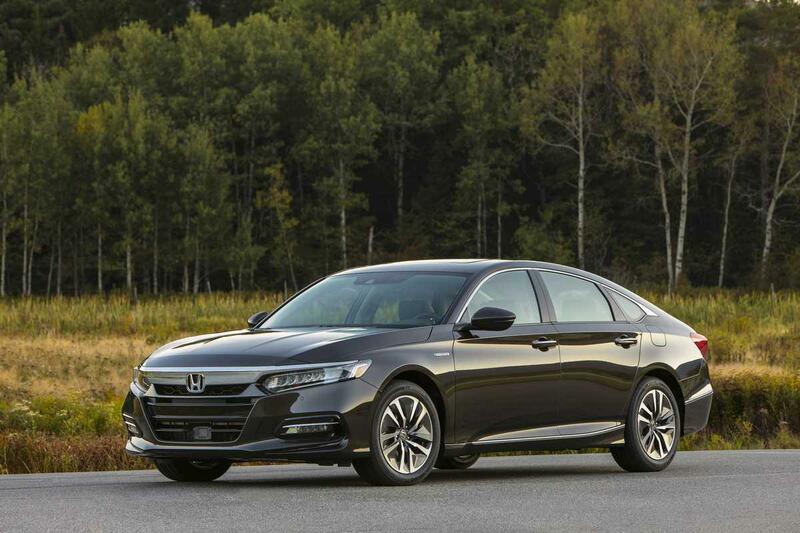 Just like other versions of the Honda Accord, it’s quite reliable and comfortable. When you come to our dealership or look at the online stock, you’ll quickly realize we eliminate the need to run around. In one location you can see the full Honda vehicle lineup, plus our helpful product specialists will answer any questions you have. Just because you want to save on fuel and cut down on emissions doesn’t mean you have to grieve. 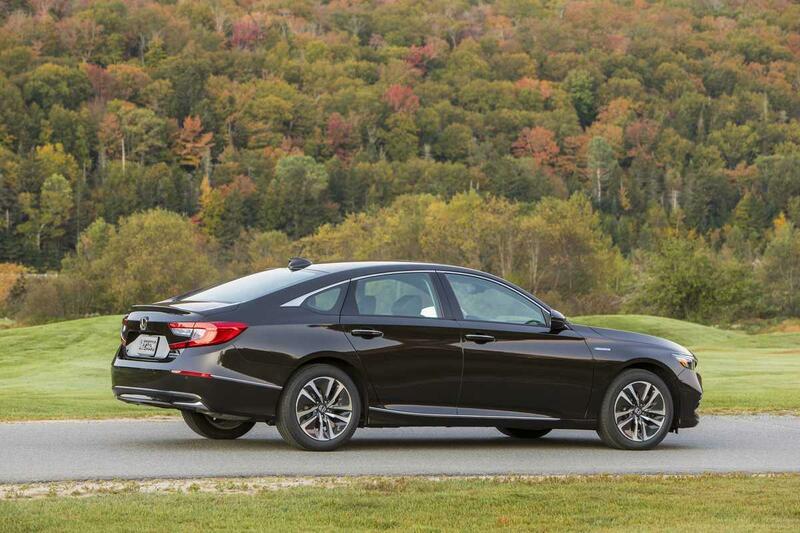 Some people might assume all hybrids are underpowered, but you’ll find the 2019 Honda Accord Hybrid is the exact opposite. The powertrain starts with a 2.0-liter four-cylinder gasoline engine, which produces 143 horsepower and 129 lb.-ft. of torque. An AC synchronous permanent magnet electric motor pairs up with the engine, putting out 181 horsepower and 232 lb.-ft. of torque. The two, combine for a system output of 212 horsepower. To keep the electric motor running, a lithium-ion battery provides power. There’s also an electronic continuously variable transmission to transfer energy from the hybrid powertrain to the wheels. A sport mode improves response and acceleration, while deceleration selectors provide even more control. Technological advancements for the Honda Accord Hybrid do more than just economize fuel usage. A number of standard and available systems keep you entertained, informed, and safe as you travel any distance. All models come with a traffic sign recognition system as part of the Honda Sensing suite. This tech helps you to always know the posted speed limit and critical warnings for any stretch of road. Standard Bluetooth connects your smartphone with the car. Use it to place phone calls while driving without touching the device, or to stream audio through the sound system. An optional SMS text message function makes replying hands-free a possibility, too. Not suffering also includes luxurious appointments for the Honda Accord Hybrid interior. With different trim levels available, you can choose which features come with your car, providing just the right amount of comfort. Among the standard features is cruise control, dual-zone automatic climate control, and power locks. Add a HomeLink remote system for opening garage doors and gates by simply pressing a button in the car. Also available is an auto-dimming rearview mirror, so you see better at night. Leather upholstery, plus heated and ventilated front seats are also available for the car, boosting comfort levels even further. Since you know more about what makes the 2019 Honda Accord Hybrid special, it’s the perfect time to experience these features in person. Schedule a test drive today by contacting JL Freed Honda.